Sandy Koufax was one of the greatest southpaw pitchers in the history of baseball. He had six seasons (1961-66) in a row that were just unbelievable for the Dodgers. In 1961, for example, Koufax set the record for strikeouts in a season. 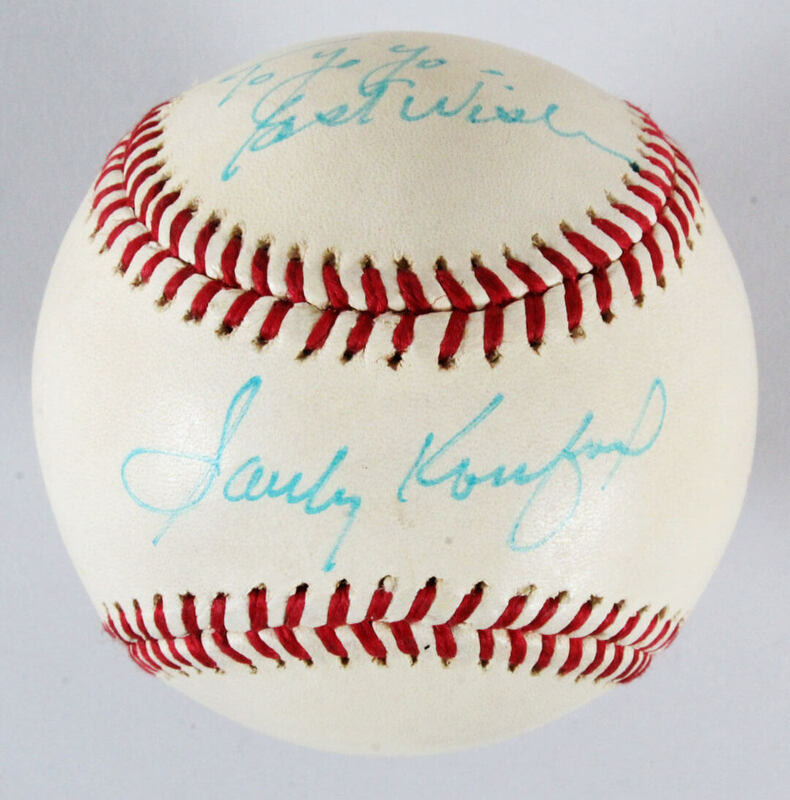 Presented is an official Puerto Rican League baseball autographed by the pitcher (Koufax) in blue ballpoint on the sweet spot (“8”). 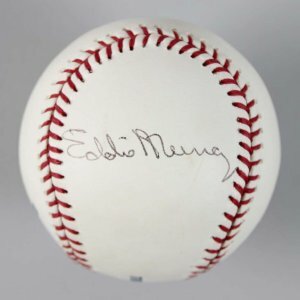 The baseball itself has uniform toning (see photos).